One of the most promising universities is Nottingham Trent University. 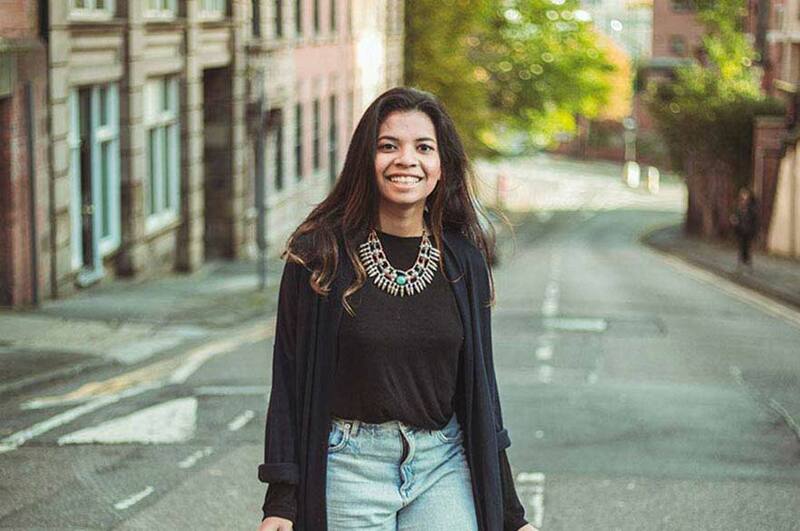 "I chose to study BA (Hons) Fashion Communication and Promotion in the UK after I found out that one of the best countries to study Art and Design in is the UK, and one of the most promising universities is Nottingham Trent University. "First I did my foundation course in Art and Design at Nottingham Trent International College (NTIC). I got help from Kaplan in Indonesia to apply and get my IELTS test ready. "Before studying in the UK I had no background in Art and Design, I was just visually aware. NTIC helped me a lot with the creative thinking process, how to research and how to find inspiration. The projects improved my skills in various areas of design such as Illustration and Adobe Creative Suite. "I have always known that I want to study fashion, but not just fashion design or fashion marketing and branding. I want to study visual communication in the fashion industry, learning how to make and convey strong and powerful messages to the consumer - and the course is built for this. The projects and modules in the course are designed to improve my skills in different areas of communication such as marketing strategy, branding, advertising etc. "I am looking forward to working in the creative industry and hopefully publishing a creative and fashion platform. As part of the course we are able to extend our work by developing our own creative works such as blogs and moving images. My friend and I initiated a creative platform; pretamuse to explore and inspire others with creativity and fashion. "I am also creative in my spare time. I was part of the Marketing Team for promoting our Indonesian Festival, an annual traditional festival in Nottingham city. In my spare time, I like to develop my creative skills and my portfolio plus I love to cook traditional Indonesian food for my friends and watch movies."